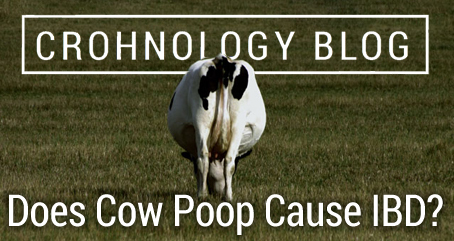 Does Cow Poop Cause IBD? 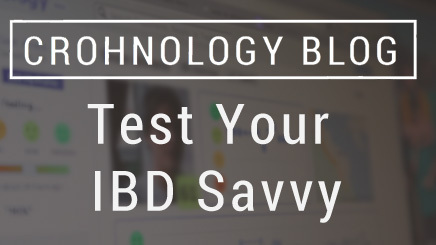 Inflammatory bowel disease is caused in part by something patients are exposed to, but what exactly is still not certain. However, an IBD cluster in the town of Forest, VA provides strong evidence that a bacterium called MAP can cause IBD — and it comes from cow poop. This represents an incidence rate of 217 cases per 100,000 children per year; more than 47 times the expected rate. The study authors estimate as many as 45 more adults in the area might have IBD or a similar illness. Forest is in Virginia cattle country, and the investigators quickly homed in on a culprit: Mycobacterium avium subspecies paratuberculosis (MAP). This bacteria is common in cattle, where it causes an IBD-like disease. MAP is present and may be concentrated in drinking water due to the organism’s resistance to chlorination and its growth in biofilms and on metallic water pipes. We postulate that in our outbreak, individuals inhaled aerosolized MAP from contaminated water in the river or creek tributaries near their homes. …Nine of our eleven children with Crohn’s disease were young males at the time of their diagnosis, in distinction to previous literature suggesting boys are perhaps twice more likely than girls to develop Crohn’s disease [sic]. The marked male predominance in our patients may reflect the fact that boys are more likely to play in creeks and streams than girls, but it may also be due to immunological differences between boys and girls putting boys at risk for particular infectious illnesses. The authors and families involved contacted the Virginia Department of Health and the Centers for Disease Control and Prevention, but neither agency did any further work on the cluster. That’s unfortunate, because there is clearly more research needed. We don’t know what causes IBD, but the Forest cluster is strong evidence that MAP can play a role. *The study is Pierce, E.S. ; Borowitz, S.M. ; and Naser, S.A. “The Broad Street pump revisited: dairy farms and an ongoing outbreak of inflammatory bowel disease in Forest, VA.” Gut Pathogens 3:20 (2011). Photo “cow’s arse” by Flickr user rhys000 used under Creative Commons license. A recent study reports that patients with inflammatory bowel disease have poor knowledge of their illness. Do you do any better? Our quiz is adapted from the same test used in the study. The study was was headlined, “IBD patients have poor disease related knowledge regardless of education level“, but it was conducted in Chile and so might not apply to patients everywhere. The study used a test called the Crohn’s & Colitis Knowledge questionnaire (CCKNOW). While a score of 9 out of 20 was typical in this study, other countries report median scores from 4 to 13. More knowledge of the disease has benefits for self-care, but is also associated with higher anxiety. The quiz below is adapted from the CCKNOW; the full questionnaire has 30 questions, but this quiz only has ten. I am grateful to Dr. Jayne Eaden, the lead author of the CCKNOW, for providing the correct answers. Abandon Hope… To Be Happy? When illness blocks your way in life, how do you respond? Do you keep pursuing your goals, hoping that you can overcome that obstacle? Or do you accept your situation, and find other things to aim for? A study claims that to be happy, you have to give up hope. People with inflammatory bowel disease often need surgery, and in some cases that will mean a colectomy – the removal of the colon. 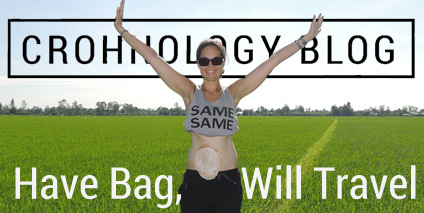 In some cases, that operation can be reversed — making the ostomy temporary. In some cases, the operation is permanent. In 2009, team of economists published a study titled “Happily Hopeless”, reporting that people with permanent colostomies were ‘happier’ than people with temporary ostomies. The study got a lot of press, with reports claiming it shows that sick people who give up hope are more happy. Pain is common among people with IBD. For many of us, it is the most debilitating symptom. Yet we are often told that pain medications will make us worse. Are pain meds really that bad? 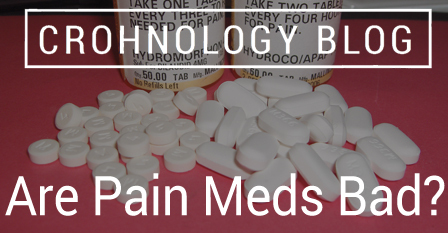 By “pain meds”, I mean opiates and opioids: sometimes called ‘narcotic pain killers’. Opiates are natural chemicals from the poppy plant — the same plant that produces poppy seeds. Some popular prescription opiates include codeine and morphine. Opioids are similar drugs made by synthetic means. Some popular prescription opioids include oxycodone (in Oxycontin and Percoset) and hydromorphone (in Dilaudid). Heroin is also a very popular opioid, but it is illegal most places. 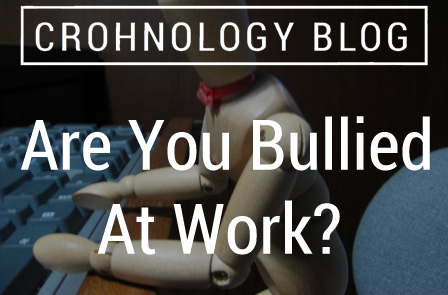 December 3, 2015 November 27, 2015 Crohnology EditorComments Off on Are You Bullied At Work? People with IBD sometimes have problems with the demands of full-time work. Whether it’s fatigue or pain or bathroom breaks, an ordinary work day can be very difficult. According to a recent study, there is yet another way work can be stressful: workplace bullying. Subjects completed a survey that asked various questions about their health, and about workplace bullying. Many people with inflammatory bowel disease turn to ‘natural therapies’ — sometimes called ‘alternative medicine’ — to manage their symptoms. 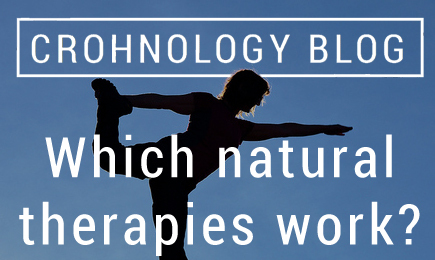 Are any of these therapies proven effective? To find out, the Australian government reviewed 17 different therapies, including yoga, homeopathy, reflexology, and Tai Chi. Their goal was to determine which therapies should be eligible for government insurance rebates. The review looked at the medical literature for evidence supporting each therapy, especially randomized controlled trials (RCTs). The report of the review process is available online. For the most part, the reports says, “there was not reliable, high-quality evidence available to allow assessment of the clinical effectiveness of any of the natural therapies for any health conditions.” There just wasn’t enough information to prove the effect of most therapies. People with IBD often take over-the-counter (OTC) medicines and supplements in addition to their prescriptions. 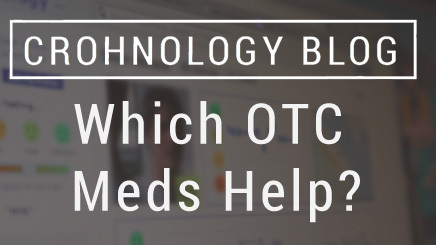 While there is lots of research on prescription drugs, it is hard to find reliable information on OTC products. 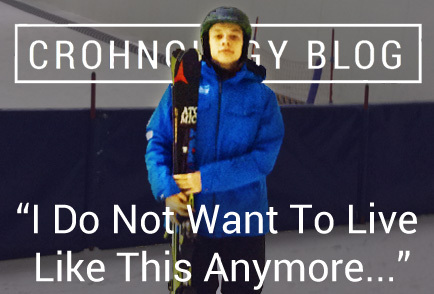 Crohnology members, of course, have access to our treatment database. There you can find information and rankings for many popular supplements. Vitamin B12, Probiotics, Iron, Vitamin D, and digestive enzymes are all highly rated (although B12 may include people who receive injections). Bean-O: this supplement is basically a digestive enzyme, but it totally changed my relationship to vegetables. Bean-O works by breaking down the plant matter that causes gas for most people. For me, that plant matter causes cramping and diarrhea. Taking Bean-O has helped me rediscover salads and other raw veggies that were missing from my diet. I started small and built my way up to full servings, but now I have no problem digesting veggies if I take Bean-O before. Loperamide: this is the active ingredient in Immodium, the anti-diarrhea medicine. I take four every evening, to keep my guts quiet through the night. I know this causes cramping for some people — it used to, for me — so this is definitely one to talk to your doctor about. Melatonin: I also take melatonin every night to help me sleep. Melatonin is a hormone your body is supposed to make naturally to regulate your sleep cycle. I take it an hour before bedtime, and it helps me fall asleep. Diphenhydramine: this is the active ingredient in Benadryl and Unisom, and is often used by IV for hospital patients having trouble getting enough sleep. I don’t take it all the time, but it is a real help if melatonin isn’t enough to get me to sleep. Usually half a Unisom quick-melt lozenge is enough to help me sleep without being groggy the next day. Pectin lozenges (Luden’s): most cough drops and sore throat lozenges have ingredients that mess up my guts. Pectin lozenges help — not as much as medicated drops, but enough that it’s worth having them. It is a good idea to talk to your doctor about any OTC medicine you want to try specifically for IBD, and definitely remember to list all meds — OTC and Rx — among your current medications when filling out forms. What OTC meds and supplements have worked for you?